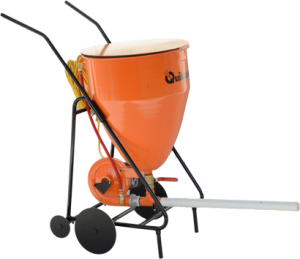 The Aggregate Broadcaster will place quartz aggregate, sand, fillers or non-skid granules at a rate up to 33# per minute into unsent epoxy, cement or polyester base coats. The specially designed steel and rubber wheels allow this aggregate broadcaster to be moved over the unset base coat without leaving undesirable tracks. 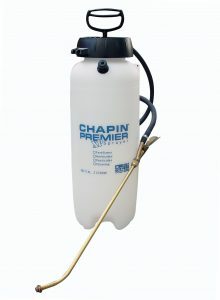 The applicator can cover 2500 feet with out moving the AG-Blower! This unit will save time, labor and materials. 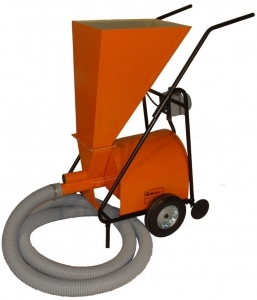 The Stone Blower will handle fine sand up to No. 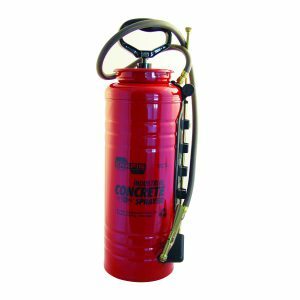 4 stone and has controllable air volume foe even distribution. 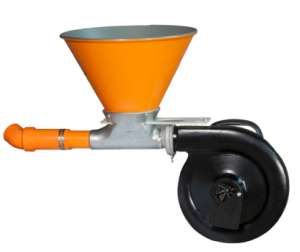 The balanced, close coupled hopper and blower are easy to handle. It also sets upright on the floor for stability when filling. 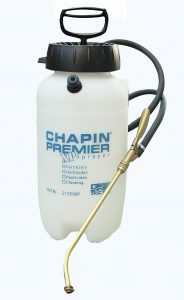 The Commercial Chip Sprayer features a 2-speed 2-3HP blower with 150/196 cfm of air with a velocity up to 33,570 fpm. The transfer and metering of the chip is accomplished with a positive, but variable speed auger feed powered by a separate gear reduced motor. The fast application of chips into wet resin eliminates a stop and go procedure. Both motors operate on 110 VAC. 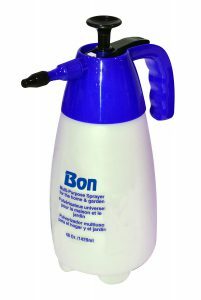 The redesigned handheld Chip Sprayer permits the even distribution of large and small, variegated or mono colored chips for the seam- less application. Even distribution will allow for less product waste, and less clean up. 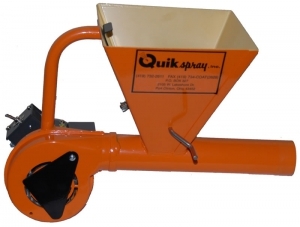 The low pressure/high volume blower reduces chip breakage, sometimes found with hand application. The overall length is less than 18”, allow- ing this unit proper operation in confined or open application areas. 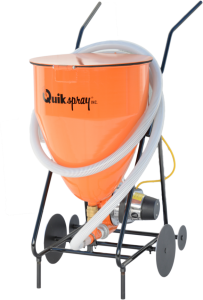 Extremely high application rates are normal with the Chip Sprayer, and the higher production will pay for this unit with one large project.